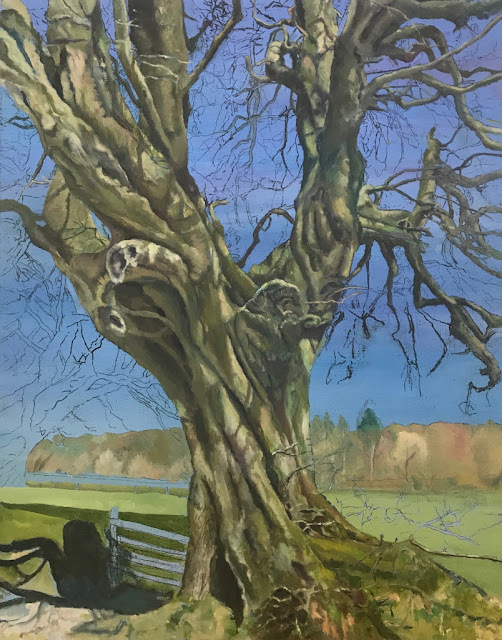 This weekend sees the end of the delightful Summer Exhibition from the Essential School of Painting which has been running at the Art Pavilion this week. It is well worth a look and has some really beautiful paintings, which look great in the Art Pavilion setting. Pop in if you are wandering the Park. I have only had a quick gander, but look forward to spending some more time over the weekend. The exhibition runs from 10:00 to 6:30pm this Saturday and 10:00 to 5:00pm on Sunday. Not bad. I like how the outlook resonates with the painting itself. However, the content could have been more extensive to elicit reader interest. Nonetheless, a good job.